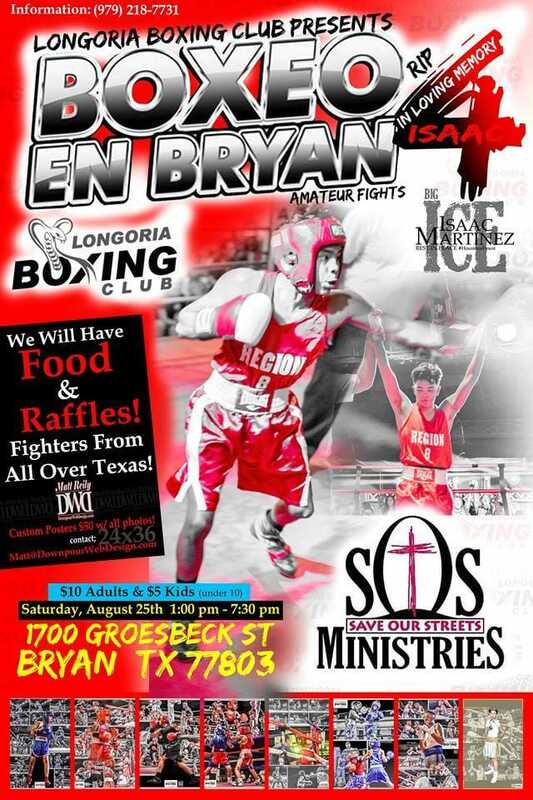 The event benefits military veteran organization Gathering of Eagles, Inc. and boxing youth at Fort Bend Boxing Club. There will be a festival-type atmosphere with a motorcycle rally & Rock N Roll show. First bout is at 1:00 PM. Contact Blas regarding prematched bouts. Aaron simon vs jake Holsberg needs to be moved up to at least the 10th bout if at all possible. Looking to prematch the following fighters for the 27th. Looking to prematch a male fighter for July 27th boxing show: 17 yr./130-132/ 16 bouts. 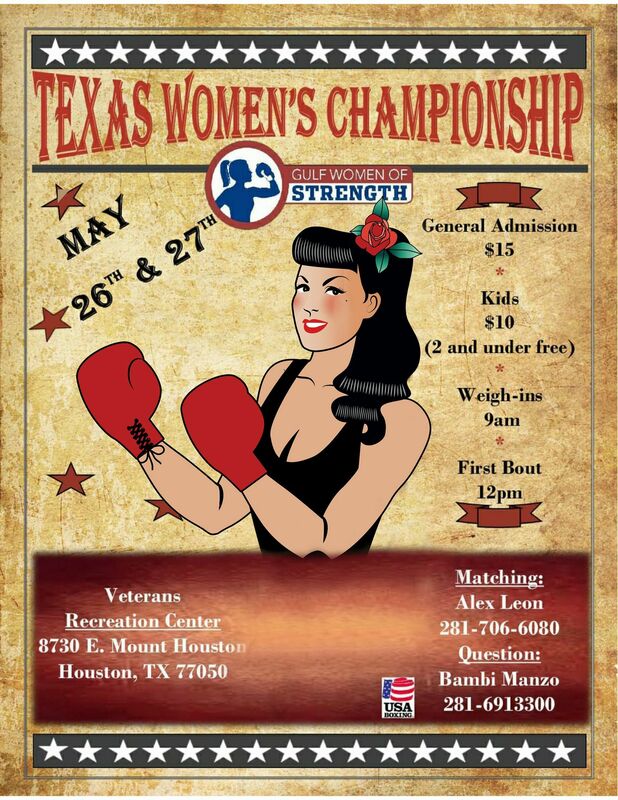 Contact me at 936-648-1047.Thanks Conroe Pound 4 Pound Boxing! Elias Valencia 13yrs. 93# 3bts. Gregorio Moreno 11yrs. 70# 7bts. Want to prematch Steven Ramirez 21 y.o. / 130# / 0 unattached out of Lake Jackson, Tx. with JJ Campos 20 y.o. / 130# of Showtime Boxing Gym for July 27th Show. √Eric Mendez 8y / 62lb / 0 bouts trying to add to the roster, coach Mario from Titans Boxing and I already agreed…Eric Mendez (Razor’s Edge Boxing Gym) vs Justin Angel 8y / 60lb / 0 (Titans Boxing Gym) Add to roster please. 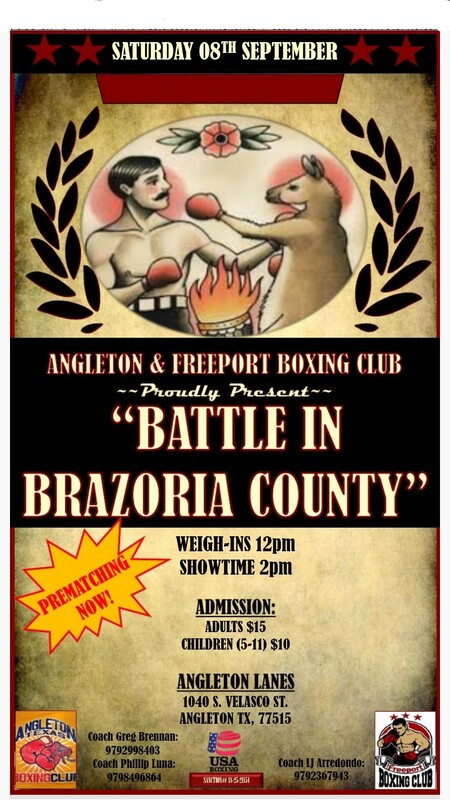 Conroe Pound 4 Pound Boxing looking to prematch one last fighter for the July 27th event. Male- 17 years old- 130/132pounds- 16 bouts. trying to see if I can match Desmond Rice 17y, 165, 2 fights with your 17y old Eddie Aceves…. I tried to call but your number is not in service. I got a message from your fighter Eddie Aceves wanting to be matched with Desmond Rice….both are 17 years of age, 165 lbs., and both have 2 fights……I have sent a message to Coach Ray, I will wait for his call to make it official…..I have also sent an e-mail to Coach Blas letting him know the details on the pre-match, but informed him that I am waiting for Coach Ray’s reply to make the match official……thanks. Coach Ray, thanks for accepting to match Eddie Aceves 17y, 165 lbs., 2 bouts with my fighter Desmond Rice 17y, 165 lbs., 2 bouts….see you on 27th July. √Eduardo Ortiz 10 / 90 / 0 trying to add to the roster, coach Wilie from Ringsters Boxing and I already agreed… Eduardo Ortiz (Titans Boxing Gym) vs Mike Uriegas 11 / 90 / 0 (Ringsters Boxing) Add to roster please. 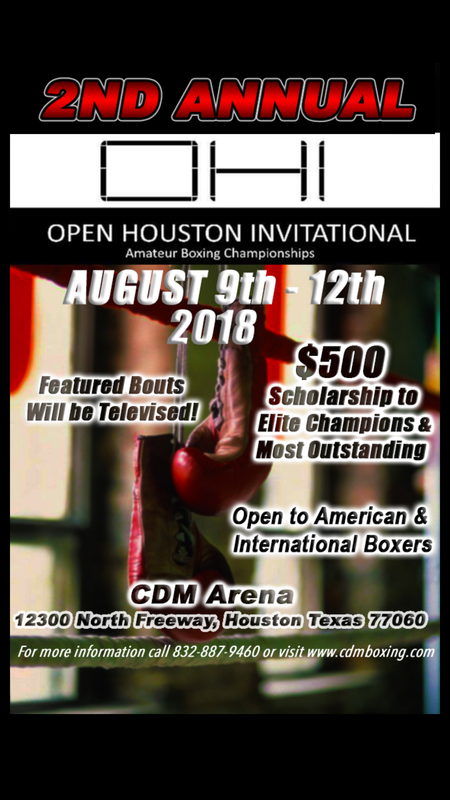 Thanks Coach Boyd for agreeing to match Tyrik Jones 17y, 132 lbs, 0 bouts with your fighter Joel Banda…..we will take the trip from Killeen Tx……Thanks again. Looking to Prematch the following fighters for July 27th boxing show! Contact me at 936-648-1047 Thanks! if interested contact me at 832-883-9599. Miguel nava says: trying to pre-match for 15 yrs male / 124 lbs / open for the 27th of July call me at (832-647-1497). I want to prematch these fighters for July 27th for Blas Perez boxing event.I have a list of male boxers. 4. 11yr./ 88#/ 2 bouts. 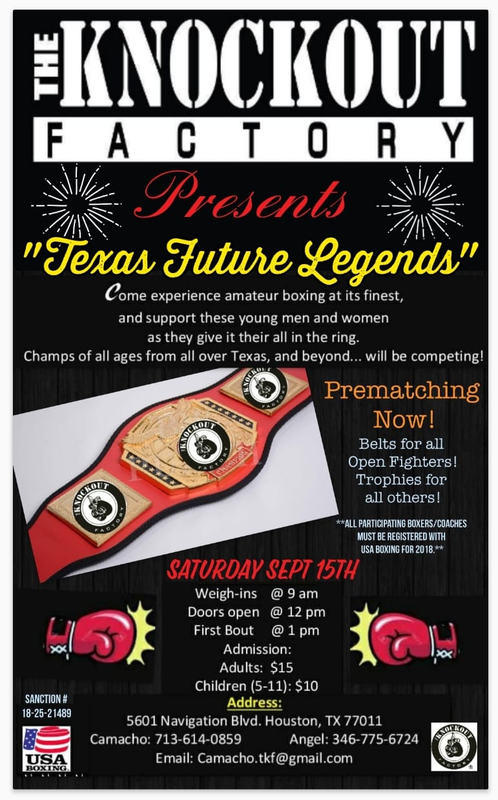 Call Dalia at 936-648-1047 if intrested in prematching with any of our boxers listed above! if interested please call at 832-883-9599 or email me at dvlmrodriguez@yahoo.com.